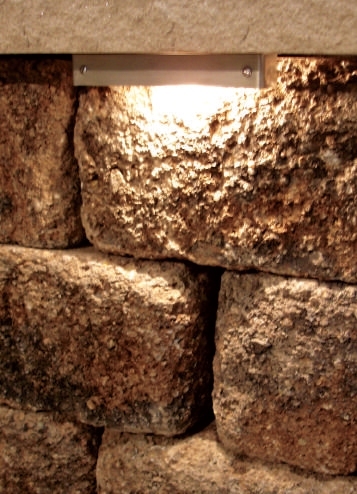 Integral Lighting offers a unique and innovative solution to hardscape lighting. Lighting can be used to illuminate a walkway or to highlight steps, walls and columns. Integral Lighting’s full line of low voltage hardscape lighting products are now available at Bauer. These lights are easy to install in new or existing construction and can light up stairs and pathways or highlight columns. Lights are available in multiple finishes to accent most retaining wall products, and are available in both halogen and L.E.D. style fixtures. Contact Bauer or your Authorized Dealer for more detailed information.